← A question for Dr. Wieland? 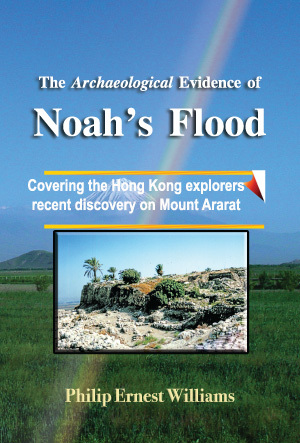 A reason frequently mentioned as to why the NAMI discovery cannot be Noah’s Ark is that remains of the Ark could not have survived on a volcano such as Mount Ararat. Most of those making this argument are Young Earth Creationists. Some of these declare that this mountain has appeared only since the time of the Flood, and thus could not possibly be the resting place of the Ark. 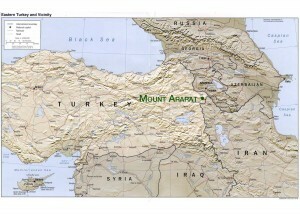 Indeed, there is evidence that Mount Ararat, like many of the other mountains in this part of the world, is in fact growing and subject to frequent seismic activity. The most recent of these seismic events was the early nineteenth century earthquake that local tradition declares was responsible for breaking apart and burying sections of the Ark. If that is the case, it seems to accord with the remains that NAMI has discovered. Moreover, archaeological remains found in the plains below the mountain show vegetation from a much warmer climate, an indication that the present mile high plains have grown thousands of feet since historical times. [David M. Lang, The Penguin Encyclopedia of ANCIENT CIVILIZATIONS (1980), Edited by Arthur Cotterell, “Uratu and Armenia,” pp 117-118]. This would explain how Mount Ararat, which sits on these plains, could have been elevated, though without the type of destructive explosion that would have been due to sizable volcanic eruption. Young Earth Creationist theory notwithstanding, there is no reason to suppose that Mount Ararat was not in existence at the time of the Flood. It is one of the few mountains whose existence has been noted from ancient times, precisely for the reason that it has been the mountain most frequently claimed as the resting place of the Ark. I have read surveys of numerous Neolithic and Eneolithic archaeological sites near this mountain that are more ancient than this new discovery. None of what I have read mentions evidence of volcanic ash or lava flows that would indicate a great volcanic eruption at levels that might be expected to destroy this mountain top during historical times. In summary, those who declare that the volcanic character of Mount Ararat precludes the survival of remains from Noah’s Ark so near to the summit should provide relevant evidence for their claims. Else, it is clear that such claims are being made to support and protect a certain theory about Noah’s Flood. The biblical account suggests that the Ark came to rest near the peak of a mountain far higher than the visible peaks of mountains that might be seen from the resting place of the Ark. Those who are making these claims and yet claim to also believe the biblical account of Noah’s Flood should tell us what other mountain among the mountains of Ararat meets the biblical description for the landing of Noah’s Ark. We found a simutaneus date of 2450 BC for last Ararat eruption and Biblical Chronology date of Great flood . ( References : 1) Volcano researcher Jon Seach, Australia 2) Smithsonian Institue USA 3) Histry programme of Dr Norbert Südland , Germany ) . A German Dr of physics Norbert Suedland developed a PC computer calculation programme in 25 years of hard work . His opinion is , that Mount Ararat has risen like an elevator under the ark , that Noahs ark could land on Mount Ararat exactly. Does anyone know about “pillow lava ” formations on Mount Ararat ? This could also be an evidence for a Great Flood volcano theory. Pillow lava is formed , when you have an Volcano eruption under water ( like in Hawai island ). ( material costs about less then 10 Dollars / 10 Euro ) . glue , wodden plate 1 x 1m , Ararat map 1:50 000 scale from internet and a normal PC printer DIN A 4 . Small drilling machine, 3mm diameter drill, and many wodden barbecue sticks . Old paper. acryl colours. It is very exciting to build such a modell ! You need some time, but you can learn a lot about Mount Ararat ! I would be interested in the information that you referenced pertaining to the geological history of this mountain. Do you have any links or publications pertaining to this that you might share? I do agree that this mountain has risen considerably in historical times. The presence of vegetation in archaeological remains suggest that the surrounding plains have also risen. References are pictures of pillow lawa at mount ararat. ( First discoverer : Clifford Burdick = creationist ) . Pillow lawa is evidence for origin of mountain / vulcano under water . Pictures of fossils at mount ararat give evidence , that there was a great flood at this place. For historic programme look at norbert suedland de homepage . Usefull is also Biblical chronolgy of Bishop usher and many other Christians which have calculated nearkly the same date of flood . There are many numbers of years in the Bible , so that we can calculate . The word of God is true ! We have very short times and chronology inb the Bible. In our mind we have been manipulated through media and tv , so that we cannot believe Biblical chronolgogy. But God is a God of wonders . The history of mankind is very short !